Last Saturday the Ulster Folk and Transport Museum played host to Cultra Hill Climb 2016, Ulster’s best known automotive garden party. 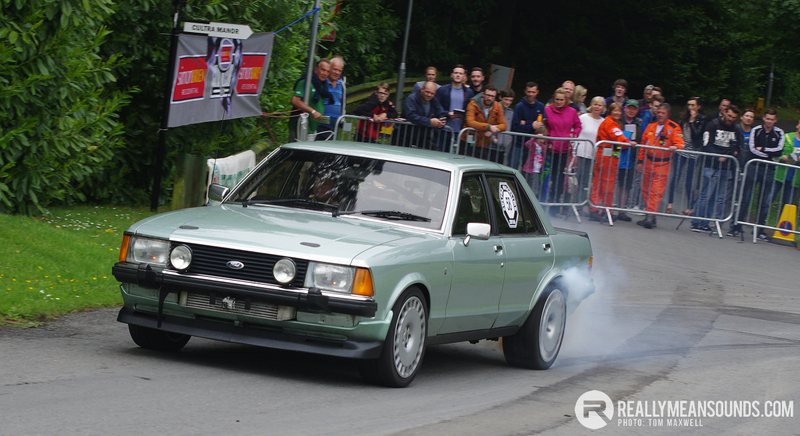 This unique event combines a competitive hillclimb with demos, displays and parades all put together with the aim of showcasing local engineering and giving the general public a glimpse of Irish motorsport and motoring history. This year the combined efforts of museum and the team at the Thoroughbred Sports Car Club definitely delivered a feast for the eye with the many varied displays and competition cars, many of which have never been seen in Ulster before and in the case of the ex Alec Poole ‘The Cyclops’ Sprite, returning to the province after fifty plus years away. Also over the last few years the events commentary team have utilised some weird and wonderful vehicles and this year provided another first as the team based themselves on the top deck of the latest ‘Boris Bus’. Other than tradeshows and the streets of London, the bus hasn’t been seen out and about in NI before and certainly not used as commentary box. This year the event also expanded its two wheeled offering and gave a nod to the burgeoning Cafe racer scene with bikes gathered from enthusiasts, professional builders and retailers. Hopefully the event can build on this element of the show for future years and expand the reach of the event. As Top Gear has the Stig, Cultra went one step better this year and engaged the services of two tame racing drivers, Chris Smiley and Charlie Eastwood and unlike the Stig spent the day talking to the competitors, promoting Go Motorsport and being interviewed by the events own ‘Murray Walker’ Clifford Auld. As Smiley pilots a Toyota Aventis in the BTCC, Charles Hurst Lexus provided Smiley with the new 5.0-litre V8 GS F sports saloon to demo on the hill and likewise Eastwood from Porsche Carrera Cup fame paraded a Porsche courtesy of the Porsche Centre Belfast. The event also played host to the MG Car Club’s ‘Ulster Triple M Tour’ which perfectly reflected the events theme ‘Midget Gems’ and with cars visiting from three continents and ten different countries, it certainly made this year’s event a truly international one. 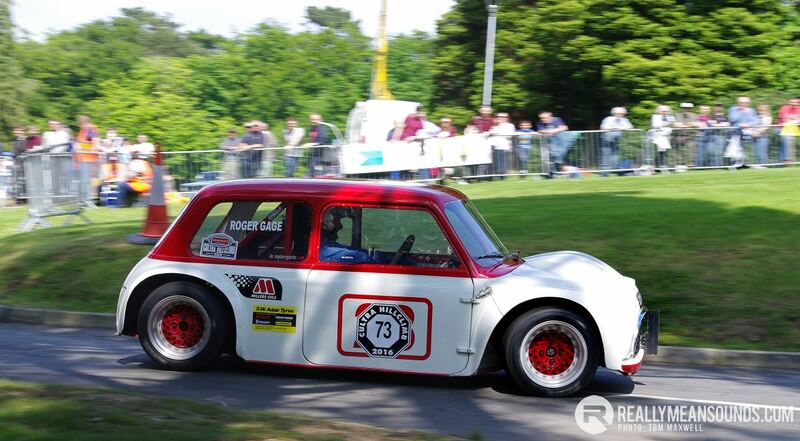 Fifty one cars took part in the tour with three entered in the main hillclimb competition. One of the ‘Top Picks’ from the tour was John Gillett’s K3 Magnette which was also raced by Prince Bira in the 30’s and competed in half a dozen Australian Grand Prix’s and in 1949 won the Australian Hillclimb Championship. 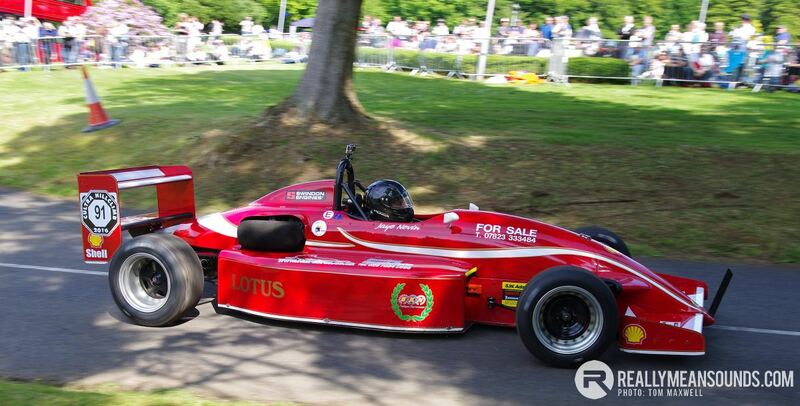 The completion element of the day saw Coleraine’s Jaye Nevin pilot his Reynard Lotus to FTD and claim his maiden hillclimb event win, giving Cultra its fourth different champion in the last four years. Bangor’s Christopher Houston and leader of the NI Hillclimb Championship was second overall and raising star Roger Gage took his Maguire Mini to the Saloon car title and last spot on the podium edging out the rapid Gerard McConnell by a couple of tenths. It has also become customary to have a Top10 Shoot-out to bring the day to a close and this year it was fort out between 10 specially selected Post WW2 MG Midgets and AH Sprites, for the Mike Wylie Trophy. Amazingly this provided the closed battle of the day with Aaron Bunning, MG Midget taking the trophy by just one tenth of a second 36.64 to Jack Brien’s 36.65.